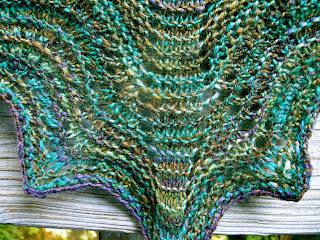 Once again, I have made a garter stitch shawl out of my handspun. This one is finished in a traditional feather and fan edging and can be made to any dimensions. 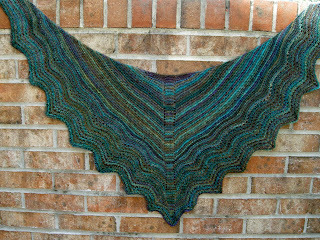 This pattern, called Multnomah, can be found on ravelry. 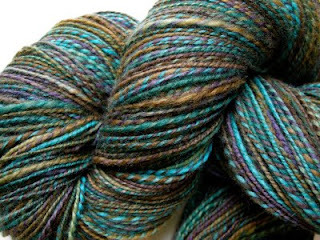 The varied colors of this yarn are perfect for garter stitch. That's a beauty Cindy! I want my hand-spun to look like yours - how did you ply it?